Those who are accustomed to Outlook’s robust features may be a little grumpy when switching to Gmail. Here are some noteworthy points and coping strategies. First, know that your organization is probably going to save quite a bit of money going from Office to G-Suite. That said, some productivity loss is to be expected in the early days of transition as you find alternative ways to do the things that Outlook used to do automatically for you. 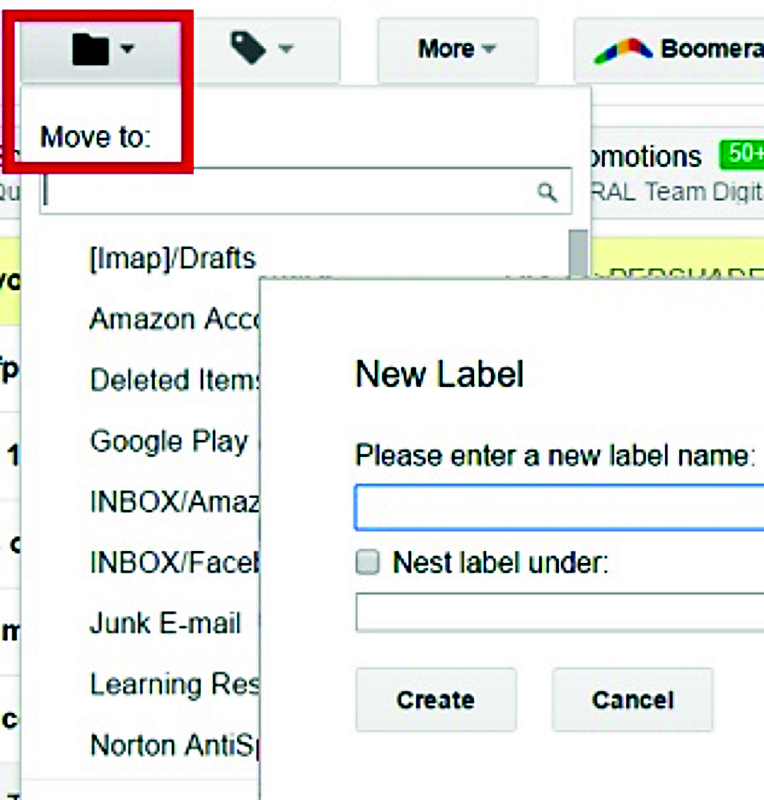 If you were a big folder fan in Outlook, you’ll create matching “labels” in Google. The icon you choose even looks like a folder. These function more like categories than folders, but it does help you work similar to the way you were in the area of filing. Next to the folder icon is the tag icon, which is used to apply labels to messages. Speaking of categories, if you liked the way color categories helped you organize your inbox, you’ll use colored stars. These are arranged in settings by clicking the settings gear in the upper right corner of the mail screen and choosing settings. Look for the stars section to determine which stars (and other symbols) will be active. Select these by continuing to click on the star icon to the left of a mail item until the right one appears. Rules are the secret weapon of savvy Outlook users. In Gmail, you’ll make use of Filters. They’re slightly less robust, but you can do things like archive it (skip the Inbox), mark it as read, star it, label it, forward it and delete it. This is a great method for cleaning up large chunks of unwanted email, as is common with Gmail. At this time, there’s not a lot of room to get fancy in Gmail. However, if you can learn to leverage labels, you should be able to filter and find what you need as easily as you did in Outlook. 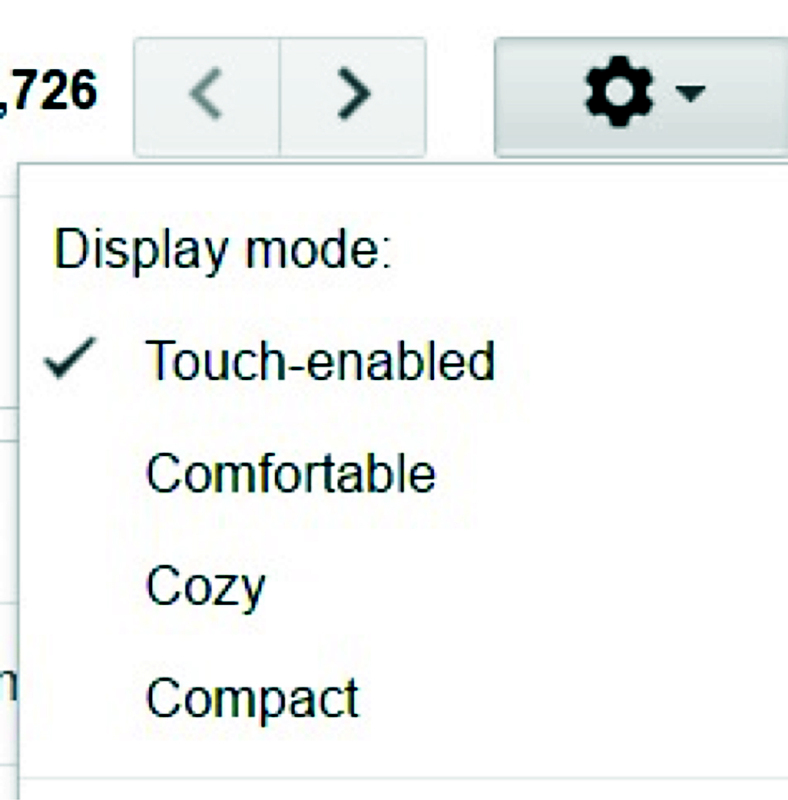 You have some limited choices in Gmail today called Comfortable, Cozy, Compact and Touch enabled. These are more about ease of use than organization. Explore them to see what will work best for you. Over time these two big providers have become more closely aligned with security. That said, Outlook, even Outlook.com has more data loss features than Gmail. Always review the service level agreement from your email vendor to make sure you understand what security features are offered, how they are implemented and whether they are compliant with the regulatory bodies you are beholden to. As this is a moving target, you should schedule a review at least a couple of times a year. Keep IT in the loop on these reviews. They can be a strong ally!